This little gem was hiding behind a few faux leather handbags, broken straw hats and plastic visors at a local thrift store. A small, leather Lucky Brand shoulder bag that's just perfect. Oh, and $2. $2.00????? how the heck could you NOT want to buy this adorable little bag? i'm so jealous of this find! AMAZING find! I call this a WIN!!! It's soo cute! I also had a treasure find at queensday (big celebration day) in the Netherlands. 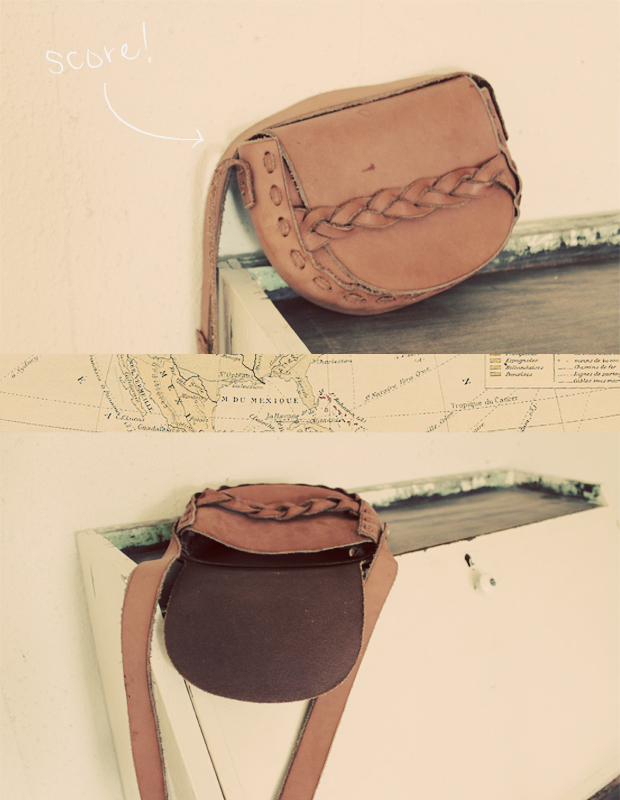 A cute little bit Pocahontas small bag for only 2 euro!